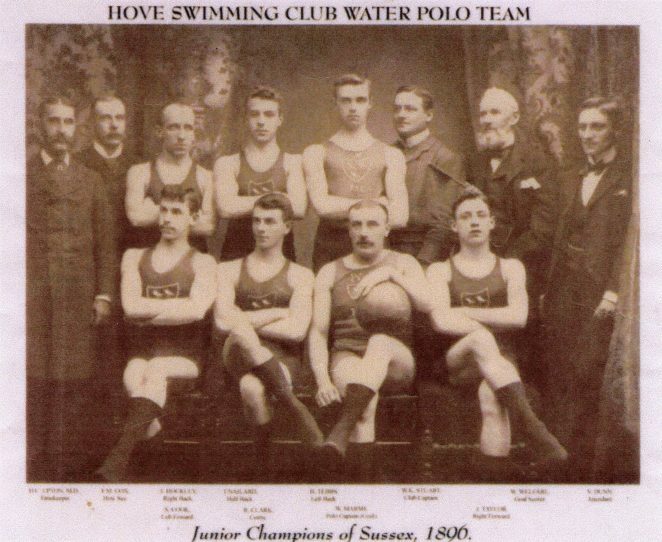 My great grandfather William Marsh was the captain of the Hove Swimming Club Water Polo Team. He is pictured here front row second from right holding the ball, the year was 1896. Does anyone know where this club was held? Who are the other names printed at the bottom of the photo? I have a great grandfather with the same name. He fought in WWI, his middle name was ‘atto’ I think. Where was yours born?